In exactly the way talking and hearing are two different functions, so too are audiologists and speech-language pathologists two different careers. While both are fields of medicine dedicated to helping others improve their communication, their responsibilities and techniques differ drastically, as does their effect on communication. 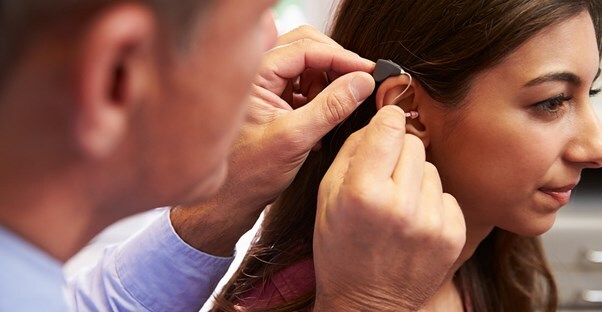 Audiology is the branch of medicine that gives us audiologists - specialized doctors trained and licensed to screen and test hearing and devise methods of treatment to improve hearing. According to the American Speech-Language-Hearing Association, audiologist “provide patient-centered care in the prevention, identification, diagnosis, and evidence-based treatment of hearing, balance, and other auditory disorders for people of all ages.” They work closely with patients, especially those struggling with hearing loss, to help figure out to what degree the patient has lost the hearing, identify the cause of that loss, and create a treatment plan for restoring or dealing with that hearing loss. This may also involve the family of the patient, as it can be quite traumatic and confusing when a loved one loses such a vital part of themselves. Audiologists may help patients begin to learn sign language and lip reading. They must also use critical thinking skills to determine the problem at-hand and come up with additional treatment options if the initial plan doesn’t pan out. They may act as counselor, teacher, and doctor. Speech-language pathologists, or speech therapists, help patients deal with speech and language difficulties or problems as well as swallowing disorders. These may or may not be life threatening. For example, while one patient may be an infant who is unable to swallow properly, another may visit a speech therapist for assistance in getting rid of an accent (whether that accent is instilled from birth, as in a southern accent, or whether it is because English is a second language to the patient). They may work with young children to help get rid of speech impediments, or they may work with elderly patients who have suffered a stroke and can no longer communicate the way they used to. In many ways, these are very similar occupations, with the simple exception of the ear and the mouth. Both have a variety of specialties and require specific licensing and degrees. Although an audiologist must have a doctorate, a speech pathologist can practice after going through a master’s program. Speech pathologists and audiologists both work in a variety of medical settings, from hospitals to clinics, to doctors offices to schools. The largest difference is that while speech-language pathologists help patients learn how to communicate more effectively, audiologists often help patients deal with learning to communicate in an entirely new way.